Why use a travel agent when going to the Philippines? The Philippines is a very beautiful country and perfect for those who are looking for a tropical paradise. The people are friendly and nature is breathtaking. However, as a developing country, planning a trip to the Philippines is a challenge. The country is still lacking when it comes to tourism and infrastructure. Lots of places in the Philippines are almost inaccessible, especially the smaller islands. Finding transport is usually one of the greatest challenges a traveler can face. Travel agencies provide reliable and comfortable transport so you get to your destinations safe and on time. We have connections with numerous hotels and airlines, so booking accommodation and flights is easy and fast. If it’s your first time in the Philippines, you need the help to sort out your travel plans, and make sure that your destinations are all easily accessible. Have someone to rely on should something go wrong – we provide support all through your vacation. Planning a luxurious and adventurous itinerary is almost impossible without local connections. So, if you want to get the most of what the country has to offer, a travel agency is necessary because you cannot do all that on your own. Philippinestravelpackage.com is operated by YGD travel agency INC – a multinational owned agency located in Manila. We have been in business for more than 2 years now and constantly serve satisfied customers. We are a small boutique agency, and we chose to operate this way purposely so we can provide 100% personal attention to each and every one of our guests. We take pride in our close local connections and extensive travel knowledge. Our own experiences will guide you in package, according to your budget and time restrictions. We’ve been there, done that and seen that. So, there is no better agency to help you! We work closely with government agencies and our strong local ties guarantee that you will stay safe and find the best deals possible. For more information about who we are and what it is that we offer our clients exactly, feel free to visit our about us page, or review our business permits here. For words from our previous clients, you can also go over our testimonials page. What makes your agency special? Most travel agencies here are owned by Filipinos and only cater to Asian and domestic tourists. Although some of them offer great products and services, they typically fail to fully grasp the specific expectations, standards and general mindset of foreigners visiting the Philippines. Moreover, tourist agents here struggle with providing a flexible service and instead stick to robust, pre-made packages only. International agencies on the other hand, understand those requirements better and so many of them offer tailor made vacations. However, as you will soon realize once you get into the country; it’s virtually impossible to provide decent support and assistance while sitting in a comfy office half way across the world. holidays in exotic countries are always a bit chaotic by nature and it’s even more challenging when you don’t have a local presence. Some islands in the Philippines are very inaccessible (which is of course part of their charm), so if you have no local connection, it becomes a difficult destination to enjoy. A local connection also means immediate assistance if something doesn’t go according to plan. Our agency is different from all the rest because we combine the best of both worlds. We are oriented to western audiences, while keeping a strong local presence and links to trusted businesses. Our team of experts are always on alert and will keep you informed of any event which might affect your holiday – such as unexpected weather or delays in transits and flights. We will also check in with you occasionally to make sure everything runs smoothly. How flexible are your itineraries really? Yes, our travel packages are flexible and customizable. If you book a full package, and suddenly decide to change a single item, that is totally acceptable. Our pre-made packages can also be changed according to your plans. If you want to extend a day or two in one place or shorten another, we will totally change it for you. Also, if there’s something fun you’d like to do or a special place you wish to visit, which aren’t listed as part of our available services, we will create it especially for you! That is how flexible we are. What is this wishlist you mention everywhere and how do i use it? To help you create custom packages and save time for both you and our agents we have implemented a cart system on this site. It allows you to add specific hotels and tours you are interested in to your wishlist, before making an inquiry for our services. All you have to do is browse through either our hotels or tours catalogs, find the items you are interested in and add them to your cart. You can also click on each and read a detailed review first. Once you have decided on the services you’d like included, simply click the ‘add to wishlist’ button found at each review. You can also add any item directly from the catalog by clicking the heart icon next to it. When your wishlist is complete, all you have to do is click the inquire now button and fill out our contact form here. All items will be then added automatically to your inquiry and we will make sure they are included in the package we build for you. How should i begin planning my trip? 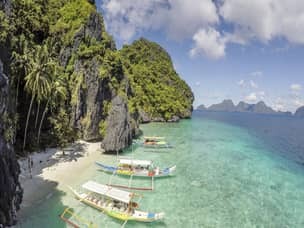 You basically have 2 options if you want to start planning your vacation in the Philippines, and our site supports both. Some people like to research on their own as it helps them immerse in the experience and get a excited. For that reason, we have created dozens of extensive guides for each topic related to a Philippines holiday. A good place to start would be our vacation packages catalog or our blog. On the other hand, there are those who really don’t have the time or energy to read so much. We understand and respect that, and this is exactly why we always have agents on call to assist you. If you have no idea where you want to go and what you want to do – that is perfectly fine. It’s our responsibility to help you figure that out, so all you need to do is contact us and let us help. What is the best destination in the Philippines? Truthfully, it is quite impossible to choose the best destination in the country because each and every place is unique in itself. It is heavily dependent on what you are looking for. We all have different preferences and expectations and what seems to be a perfect beach paradise for one may not be good enough for someone who loves the mountains or the city for that matter. If you love surfing and if surfing is on top of your list, then Palawan may not be the best destination for you. Instead, we will send you to the best surfing spot in the country which is in Siargao Island. For this reason, we strongly recommend that you check our destinations page first before booking anything. That way you can decide better what places you want to visit and which activities you love doing. Learning more about the places will help you find the most suitable destination for you. If you find more than one (which we are sure will likely be the case), then combining those places into one complete travel package will surely give you the most awesome travel experience ever! What to expect of hotels? Generally speaking, the hotels in the Philippines are below what you would expect in terms of international standards. They try hard and the service is excellent, but they usually fall short with attention to finer details and the small comforts which turn a good hotel into a wonderful one. Still, there are great hotels no matter where you go to, it’s just a matter of doing your research well and aligning your expectations correctly. In Palawan you can find all inclusive private island resorts, while over at Boracay you’ll enjoy wonderful beachfront properties for example. We only recommend hotels we have personally visited and maintain a good working relationship with. Also, we constantly re-evaluate our picks based on the feedback we receive from clients. To understand better why we choose specific hotels over others, read our guide to the best hotels in the Philippines. What should i bring when going out on tours? We will provide your snorkeling and diving gears should you wish to go on any of our day tours. If you want to go surfing in Siargao, we will provide the surf boards for you. If you want to go mountain hiking and camping then we can provide the tent for you. We will provide whatever you need as long as you book with us. Sometimes people bring their own gear for hygienic or comfort purposes. This is especially recommended for snorkeling masks – since the ones provided by tour operators are usually a bad fit. You can buy very good ones here in the Philippines and they are cheap, so that might be the best idea. Other than that, you only need to bring the standard things when going out on tours. Sunscreen, swimming suit, spare clothes and a towel are all recommended. Even though all tours include free water and snacks, we still suggest you buy a large bottle of water as well, just to be safe. I have special dietary requirement. Will you be able to cater to that? Yes we sure can. Filipino dishes are varied so if you are allergic to nuts for example, let us know before-hand so we can inform the hotel staff who will take care of your food. We can also recommend restaurants for vegetarians. We prioritize your comfort and safety and that means dietary requirements are also important. However, there will be times when it will not be easy. For example, when you are in a remote island where there’s nothing but seafood. We will give you a full list of tips and information on how to find proper food for your diet, and avoid locations where that is not possible. The Philippines is a safe country and very comparable to other Asian destinations. It is best to avoid a few areas in Mindanao because of the presence of rebels but other than that the country is very peaceful. Police are always easy to reach 24/7 should you encounter any difficulty. Just be vigilant especially in the big cities (just like in any other country) as they can be a place for thieves and robbers to target their victims. What is the weather in the Philippines like? The weather in the Philippines is generally good. The country enjoys a lot of sunshine all year-round except during typhoon season which is usually from July to October. Typhoons are quite strong, so it is very important to constantly look at the weather forecast while planning your trip. The good thing is; the weather is different from one region to another. There may be typhoons coming to Manila for example but Boracay is very dry and sunny. So regardless of the weather, there is always a place where you can enjoy sunshine. In times of typhoons though, flights may be cancelled so it is best to always have a plan B. How to get internet access? Almost all resorts we work with have decent Wi-Fi, since we know that is one of the key requirements for most tourists. Still, you have to realize the infrastructure in this country is quite poor, especially in the small islands and more remote locations. When you are out of your hotel and want to still have a connection, there are 2 good options. Either get a pocket Wi-Fi or a mobile plan with a local sim card. How to use your mobile device? The best solution is to get a local sim card as mentioned above. This will provide you with data and unlimited texts and calls to other Philippines numbers, depending on the exact plan you choose. Sim cards can be set up at every major airport in the country, so you can have that ready as soon as you land in Manila. If you prefer to keep your original number and your phone doesn’t support dual sim, then the best option you’ll have is to purchase an international package from your local mobile provider. 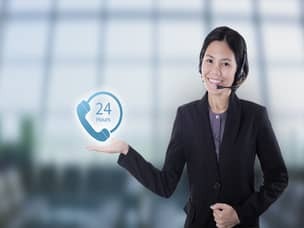 Alternatively, just use Whatsapp or skype whenever you have Wi-Fi connection – that should be enough to allow for texts and decent-quality phone calls.